AlterPlate frontline performer, songwriter and singer Harrysong has released his sophomore album titled ‘The Kingmaker’. 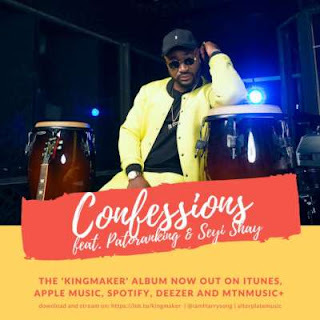 Harrison Tare Okiri popular known as Harrysong delivered a 15-track album (with two bonus songs) on the album with features from M.I. Abaga, Patoranking, Vector, Seyi Shay and AlterPlate affiliates Dezign, Debi J and Mr. Wealth.